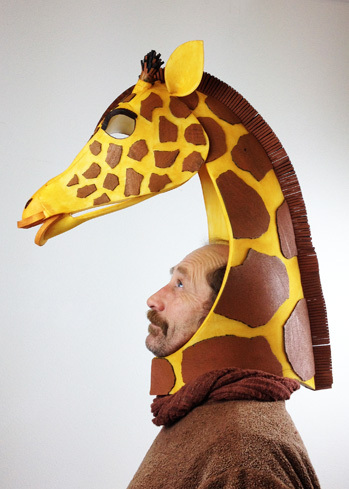 We create hand made animal costumes and masks. You can get something custom made, or Buy now from our shop. Scroll down to see examples of custom work. "A huge thank you for the frog costumes! I got them today and they are fantastic! 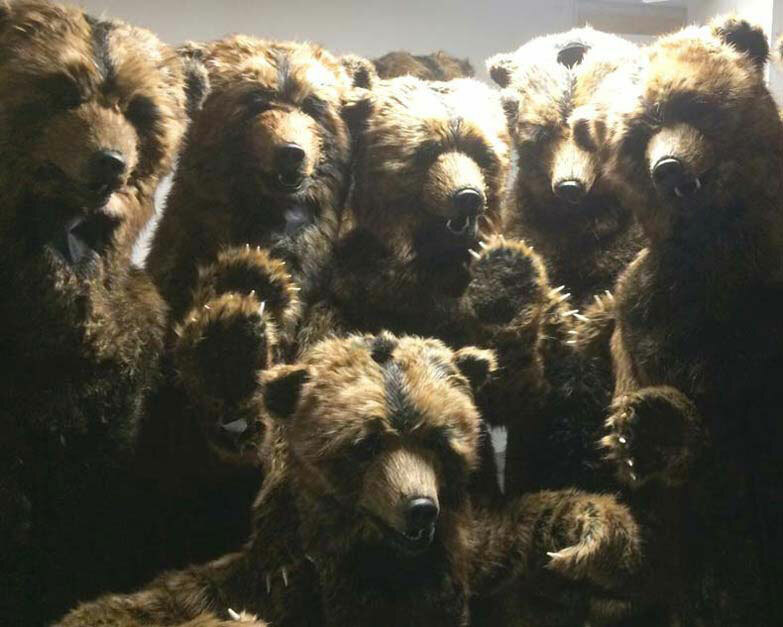 I’m sure they are going to go down really well with the kids." "Thank you so much for the costumes. I was bowled over, they were so fantastic. I loved the penguin's fur!" 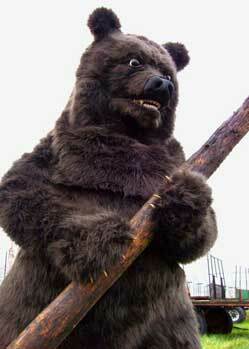 "The bear costume is fantastic. He is getting a great response every night and I'm beginning to think he's real! Really fantastic work. Thank you." 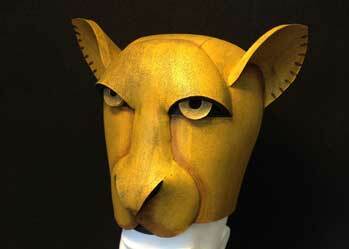 "The (witch) mask and (mice) headpieces look absolutely amazing, I'm so excited to see them on our students." 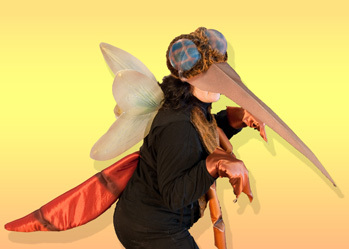 "The costumes were a HUGE hit! 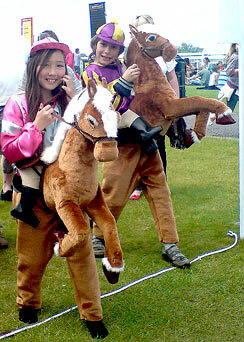 The Jockeys are FAB!!!" 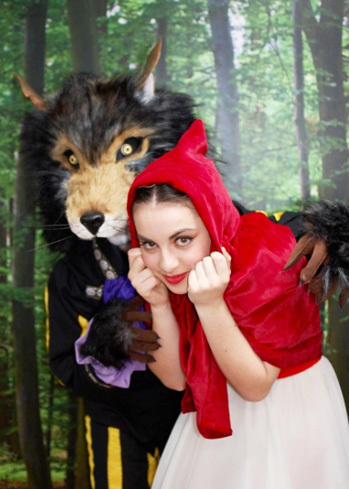 "I am obsessed with my gorgeous wolf! Bought him for Burning Man and really couldn't be happier. Not only is he absolutely stunning to look at, he's super comfortable too. I can't WAIT to parade him around!!" "We received the rabbit head today! Thanks, it looks great, brings the woodland theme to life." 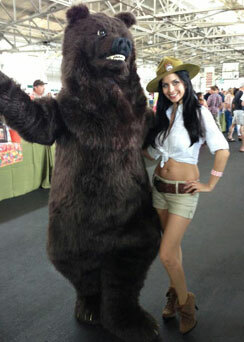 " Edward the Bear is a big hit with our visitors. He is wonderful; so easy to use. We are delighted!" 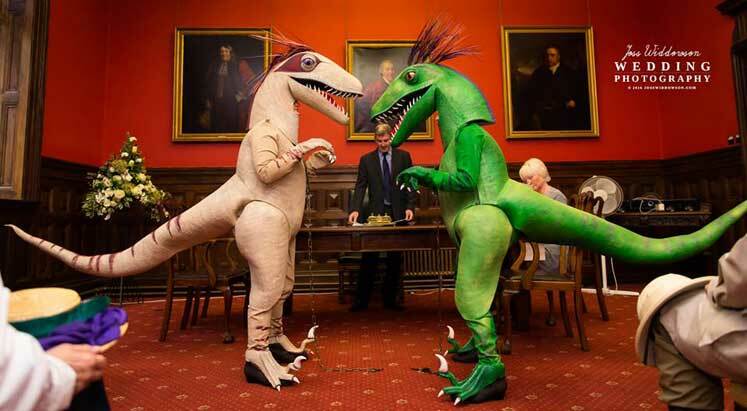 "We got the costumes today - they're fantastic! Thanks very much for making sure they got here on time." "Love, love our Meiomi Bear!! Thank you so much Bev !! It was a great hit!! "Have got him! Thank you. We are all very pleased with him. Fierce and hairy! Well done." 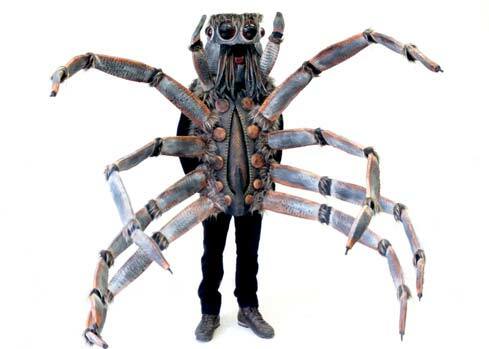 "The costume - it's supercaterpillaristic…!" 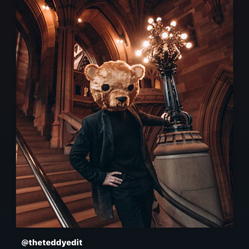 "Leo won best costume. Thanks so very much." 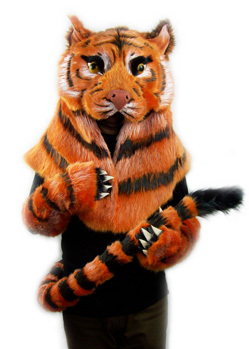 "Thank you so much... FABULOUS cat costumes... 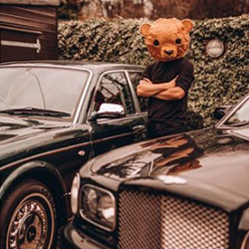 I hope we get to wear some more of your amazing creations very soon!" "Alana and Kayla are still wowed by the fantastic work of art that they have the privilege to wear." 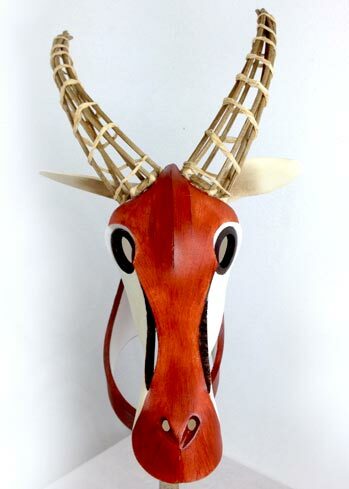 "The Oryx headdress is in Qatar and client loves it. A million thanks !" "Thank you so much for the costumes. They were fabulous!" 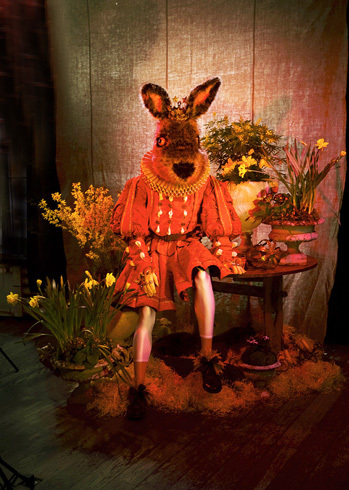 "Everyone thought the wolf mask was fantastic"
" Having so much fun with the trout outfit ! 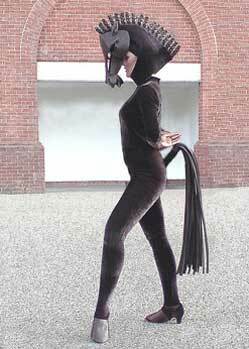 It comes everywhere with me and so many have tried it on! I have laughed so much." 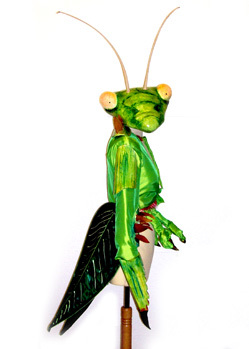 We've made all sorts of fabulous beasts and crazy creatures over the past 25 years, and delivered them worldwide. Here are just a few examples of our work. See whats for sale Now in our web shop. Need something custom made? Contact us! 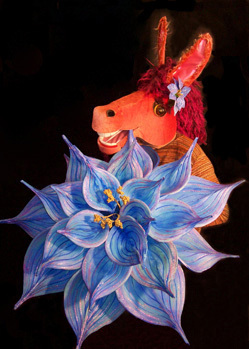 Donkey Head and Giant Flower: Created for a wedding celebration. 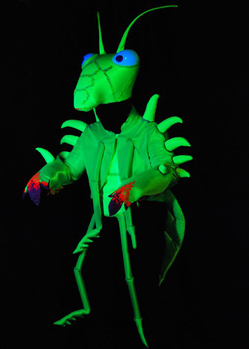 Blacklight Praying Mantis Insect Costume: Photo © Russell Gilbert. 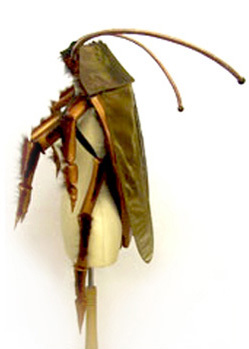 Halloween Monster Bug Costume: With wiggling legs! 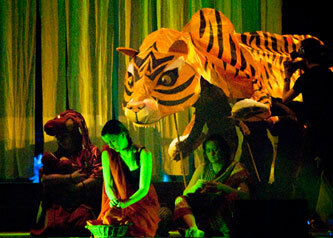 The Jungle Book: wolf, tiger and jackal mask heads. 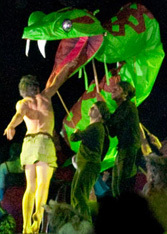 Giant Animal Puppets: Kaa the snake and Shere Khan the tiger, created for The National Scouting Jubilee performance of 'The Jungle Book'. The audience of 20,000 scouts sat enthralled... Photos © Russell Gilbert. 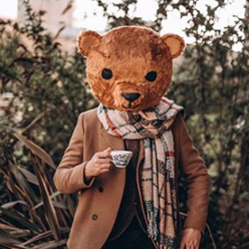 Teddy Bear Mask: Fashion blogger @theteddyedit wears our bear head! 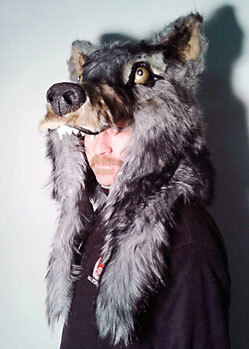 Wolf Headdress : commissioned for Hertz Sevens Rugby Championship event. 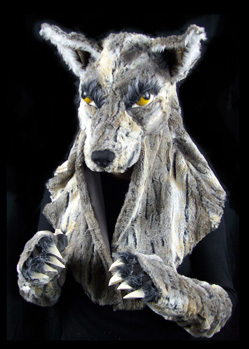 Wolf Head Mask: For a Little Red Riding Hood Ballet. Photo © Andrew Potter. 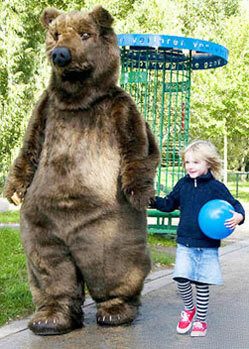 Realistic Bear Costumes: We make a range of suits, from a realistic grizzly bear to a panda or teddy. 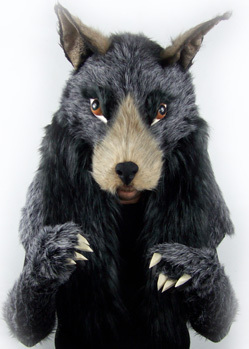 See bear costumes in our webshop. 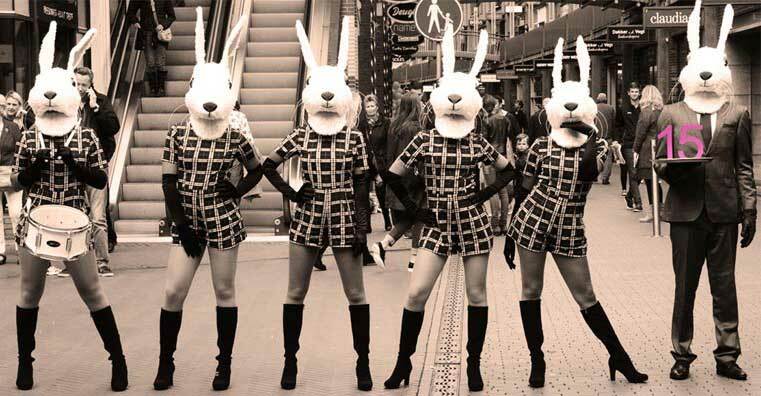 Rabbit Head masks: Set of 6 bunnies, for a shopping centre's Jubilee celebrations. 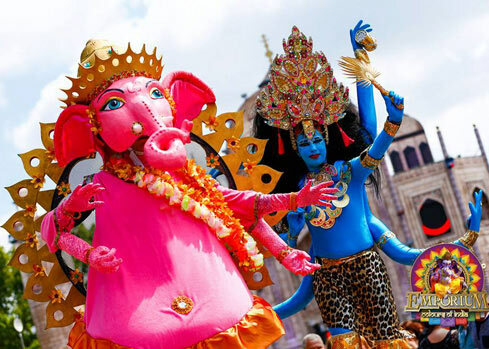 Ganesha Elephant God: created for an Indian-themed Festival. 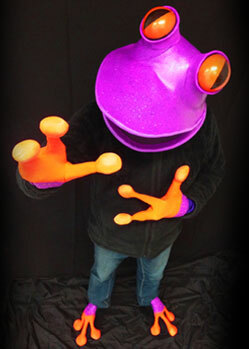 Purple Frog Mask: A company's logo brought to life! 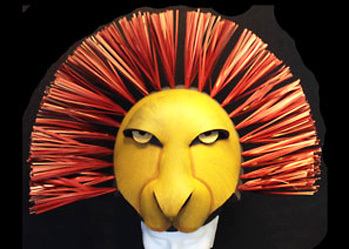 Lion King Jr headdresses: Lion and Lioness. 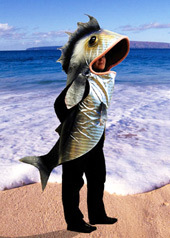 Fish Costume: Photo © Russell Gilbert. Mermaid costume for Chelsea Flower Show: commissioned for the prize winning Homebase garden. 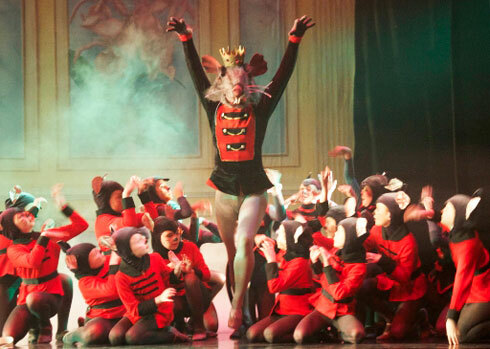 Mouse King Head: For The Nutcracker ballet. Photo © Chelmsford Ballet Company. 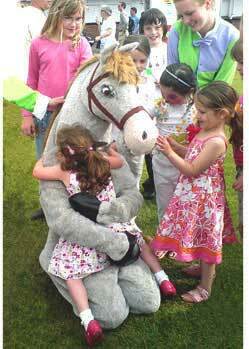 Goodwood Horse Racing Events: We made many different horse costumes! Photos © Sue O'Donohue & Russell Gilbert. 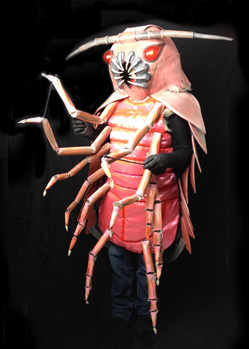 Praying Mantis, Spider, Mosquito and Cockroach Costumes: Photos © Russell Gilbert. 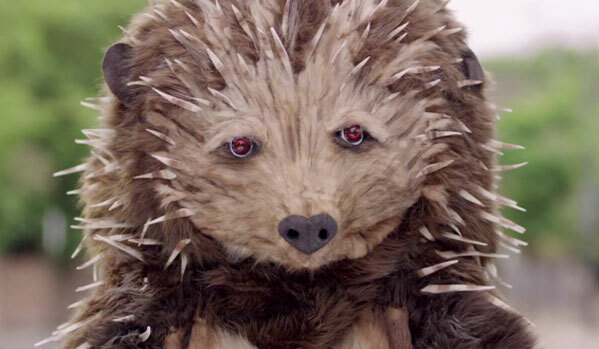 Hedgehog costume: For a TV advert in the UK. 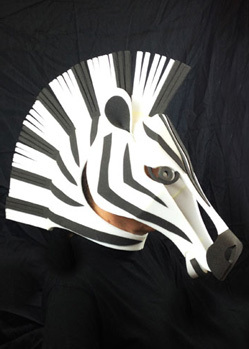 Zebra, Antelope, Giraffe, animal masks. Buy now from our webshop. 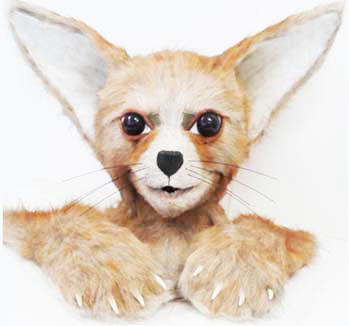 Fennec Fox Head & Paws: Realistic animal costume. 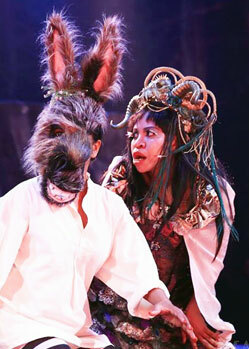 'Slightly Monsterish' Donkey Mask: for A Midsummer Night's Dream. Photo © Masa's Eye Photo. 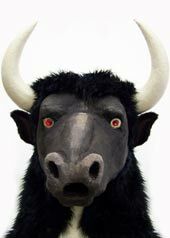 Minotaur: With glowing red eyes. 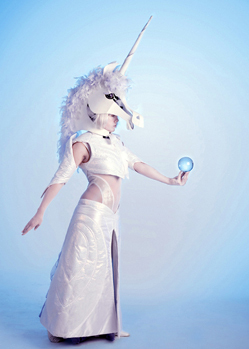 Unicorn Headdress: Photo © Matt Hennem. 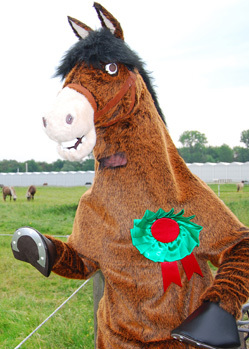 Horse Head Mask and Costume: Now available in our webshop. Photo © Sue O'Donohue. 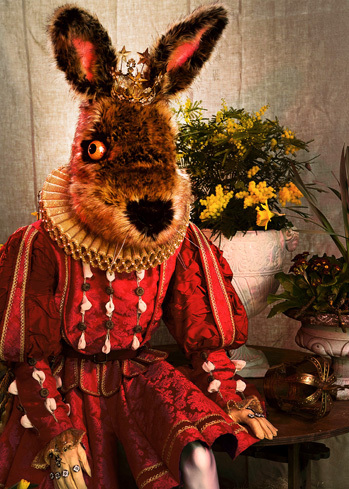 Animal Masks: Mouse, wolf, goat and donkey masks for Grimm's Fairy Tales. Photos © Russell Gilbert. Need something custom-made? Ask for a price quote today!